This enumeration is used to specify the type of map style that should be displayed by the map. It is specified as Microsoft.Maps.MapTypeId. [Name] where [Name] can be any of the following values. aerial The map displays aerial imagery. canvasDark A dark version of the road maps. canvasLight A lighter version of the road maps which also has some of the details such as hill shading disabled. birdseye High resolution aerial imagery taken at 45 degrees to the ground, from 4 different directions. grayscale A grayscale version of the road maps. mercator The map does not display any imagery. Use this option if you want to display custom imagery instead of Bing Maps imagery. ordnanceSurvey The map displays Ordnance Survey imagery. Ordnance Survey imagery is only available in the UK. 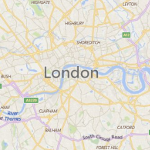 Bing Maps provides the 1:25,000 OS Explorer Map and 1:50,000 OS Landranger maps. When the map is panned or zoomed out of range, road map imagery will be displayed. Map culture must be set to en-GB. road The map displays road imagery. streetside Provides streetside panoramas from the street level. 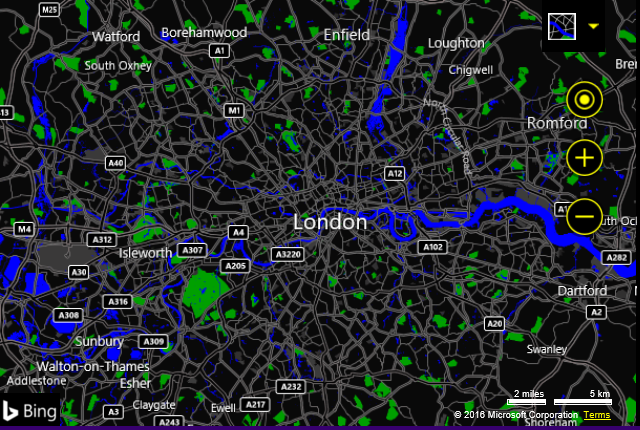 To make Bing Maps more accessible, high contrast support has been added. When the user’s computer is in high contrast mode, a high contrast version of the road maps will be displayed.